You don’t have to be an expert to benefit from the freedom that riding offers. Our friendly horse riding establishments cater for all your needs. In all establishments listed professional staff will see you through the stages from beginner to the rider who wants fast and exciting sport. 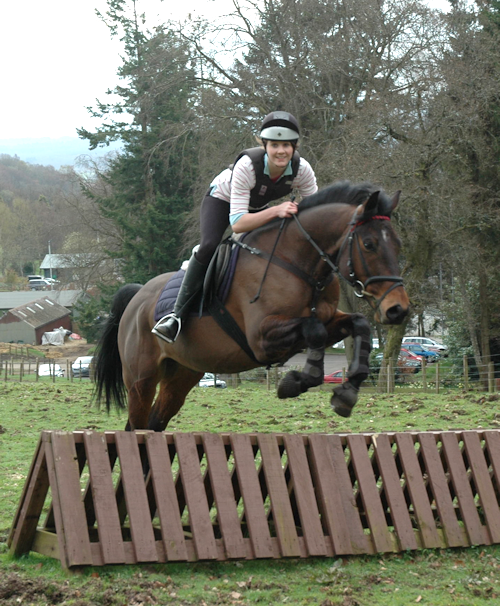 Or if you simply wish to try riding for the first time, then horses and ponies picked for their safety and experience are on hand, along with qualified instructors. Whether on quiet beaches, old drove roads or a trail ride adventure, riding in the fresh air is a perfect stress-buster! If you are planning to ride as part of your holiday it is better to book ahead as riding establishments tend to be busy during the summer months. Is suitable for both the novice and the more experienced rider who wish to travel at a leisurely pace and enjoy the beautiful scenery. Ponies use dare often the native Highland breed which is strong, safe and very sure-footed. 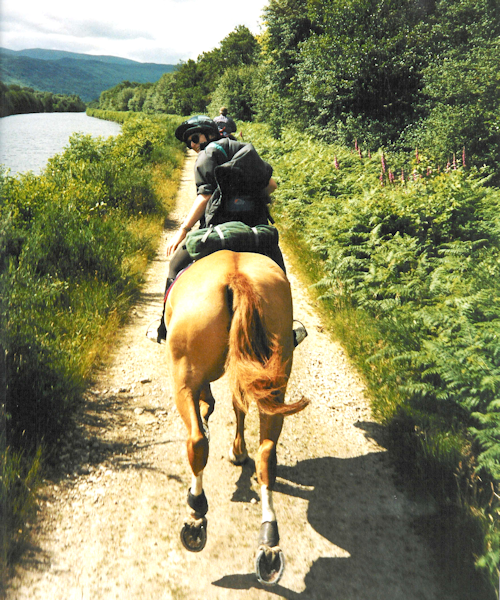 Children under 10 years in some cases may be allowed on a lead rein but teenagers and adults who have not ridden before can enjoy the experience of a one or two hour trek, whilst those who have some experience may opt for a full day or even a week when treks will increase in length. Trekking is a marvellous way of exploring some of the inaccessible areas of our countryside. Is for the more experienced rider and offers the chance to negotiate varied terrain at speed. 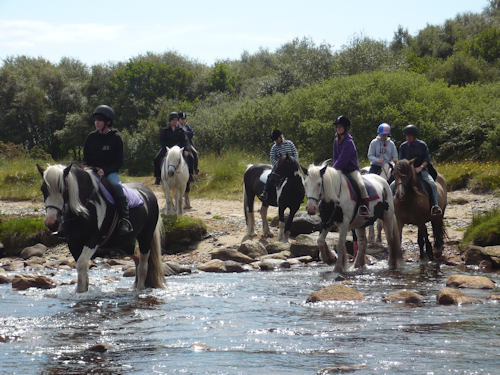 Jumping ditches, galloping on moors and beaches and fine gourmet meals are all features of the trail riding scene. Some of the finest countryside, sporting horses and friendly ride leaders are all waiting to help you organise safe yet challenging trail rides of any length into the heart of the countryside. Beach, river, hills and forest are all available as are competitions. Several of the establishments on this site offer the carriage driving experience or driving lessons from beginner standard upwards. 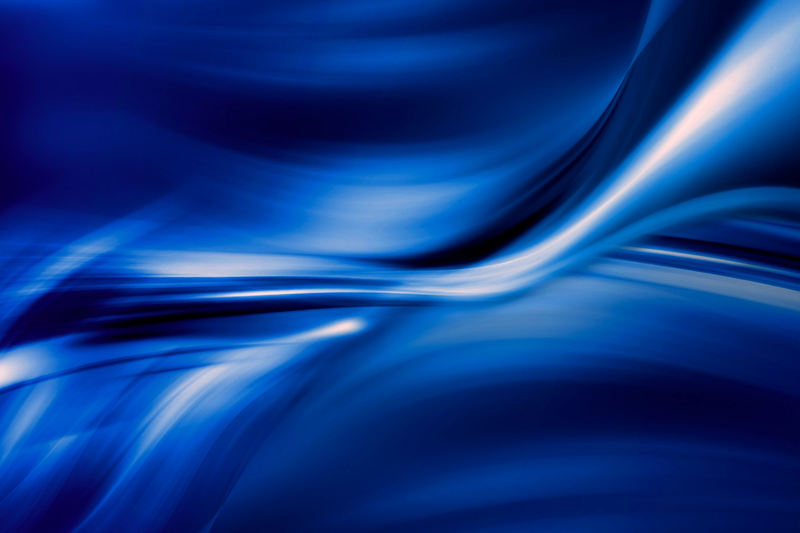 Driving widens the horizons in allowing families or groups of friends to enjoy the same interesting experiences. Give riders an opportunity to develop their interest and skill. Specialities in particular disciplines are available including dressage, jumping, polo, carriage driving or western riding, with instructors and top international trainers waiting to share their knowledge. Disabled riders are catered for in many of the schools listed. In all listed establishments, professional staff will attend and organise safe yet challenging rides tailored to your particular requirements. Riders who wish to take their own horse with them to enjoy riding in other areas can find grazing and a comfortable stable for their horse at many of the centres listed on this site. Whether you’re travelling to compete outwith your own locality or simply wish to experience the challenging and inviting riding offered by another area, you can travel safe in the knowledge that a host sympathetic to your own and your horse’s needs is waiting at the end of your journey.